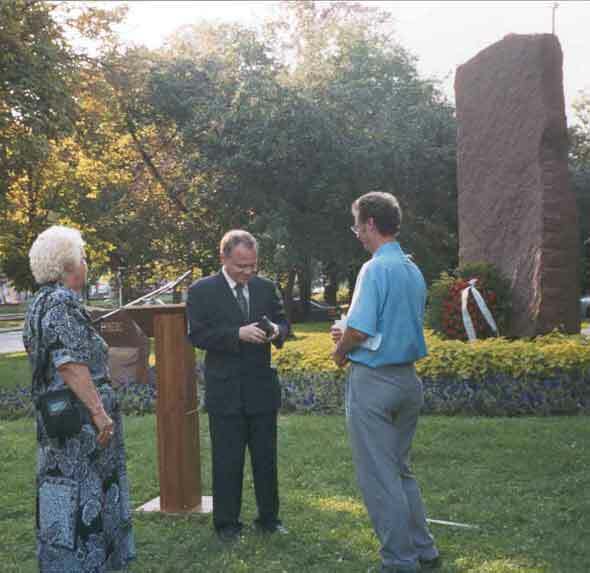 On Monday, 4 August, the International Raoul Wallenberg Foundation and the Wallenberg Association of Hungary jointly organized a ceremony to render tribute to Swedish diplomat Raoul Wallenberg in Budapest, Hungary, the city where Wallenberg helped save tens of thousands of persecuted people -mostly Jews- by the Nazis. 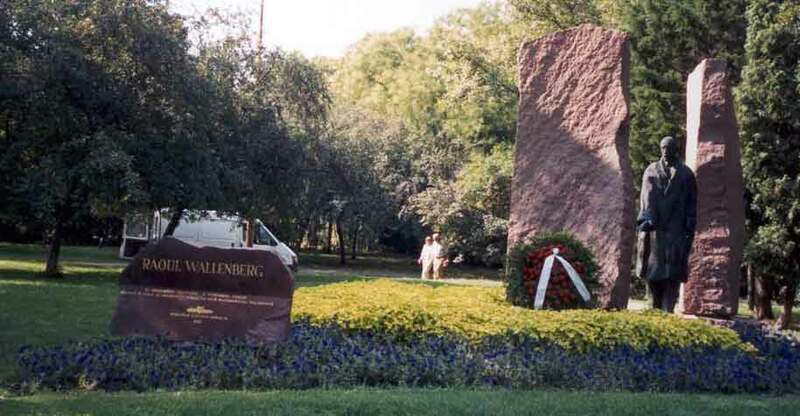 Budapest is also the city where Wallenberg was detained by the Soviet Army on January 1945. Since then his whereabouts are still unknown. The tribute took place beside the Wallenberg Statue, a work of Hungarian artist Imre Varga, placed on the Buda side of the capital of Hungary. The presentation was held simultaneously with another five ceremonies organized by the IRWF in Buenos Aires, New York, Tel Aviv, Montevideo and Santiago (Chile). Following Mr. Andreas Sipos -Chairman of the WAH-´s opening, Dr. Ibolya David -vice speaker of the Hungarian Parliament and former Minister of Justice- delivered the first speech that highlighted Wallenberg’s deeds as the ones accomplished by Christians who saved Jewish people. A letter of endorsement signed by Madam Louise Von Dardel, niece of Wallenberg, was read aloud. Dr. Marcos Resnitzky, volunteer and special envoy of the IRWF to Hungary, delivered a moving speech where he recalled not only Wallenberg’s feats but also the atrocities perpetrated in Hungary by Nazis and Soviets alike. He also pointed out that today´s terrorism has similar roots as the one of by the regimes conducted by Adolf Hitler and Joseph Stalin. 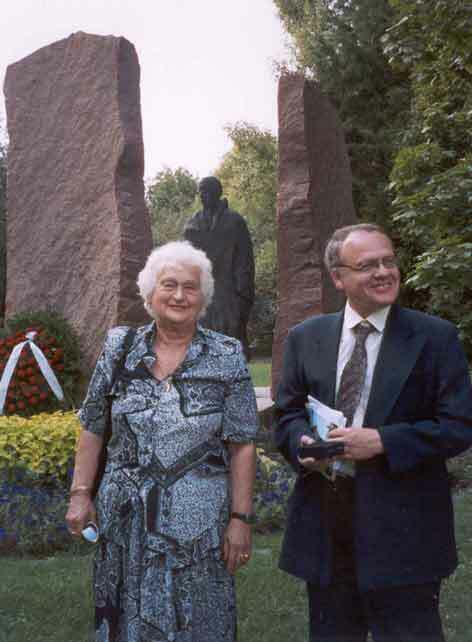 Afterwards, Dr. Resnitzky presented the Wallenberg Medal, specially coined by the IRWF, to Dr. Wimmmer Gyulane and to Andreas Sipos, on behalf of the WAH. Representatives of the US and Israeli embassies, among others dignataries, attended the ceremony. Professor Tibor Vamos, President of the Hungarian Holocaust Foundation, also were present at the celebration. Poems were read and music performed at the end of the ceremony. TV stations were also present. National Television (MTV12), the Hungarian News Channel (HIR TV) and Duna TV broadcasted the ceremony. After the ceremony members of the WAH presidium and Dr. Resnitzky visited other Wallenberg memorial places accompannied by Mr Ferenc Orosz, former Chairman of the AWH.